There were just two council by-elections this week, but they produced a morale-boosting win for the Conservatives and twin humiliations for Labour. The Tories came from third to first, and managed a 9.5% swing from Labour. Ukip retained its position in second place. 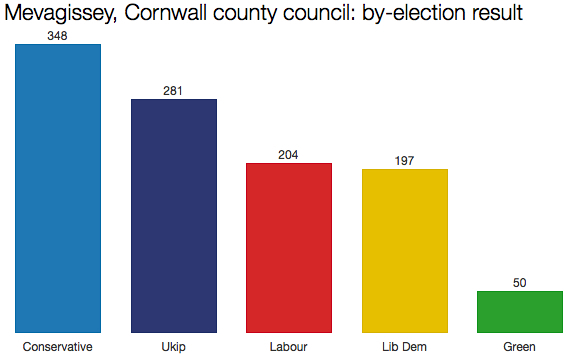 The result doesn’t affect the balance of power on the 123-seat council, which is run by a coalition of Liberal Democrats and independents. 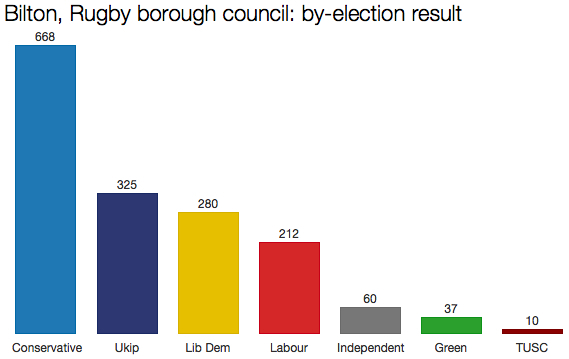 Labour came second when this ward was contested in the local elections just six months ago. On Thursday they slumped to fourth. These kinds of contests are only ever tiny snapshots of community opinion, but Labour’s poor performance in both certainly won’t help Ed Miliband overcome his current difficulties.